OzFish Tenterfield Chapter President, Harry Davey, does some extraordinary work restoring fish habitat around Tenterfield, NSW. 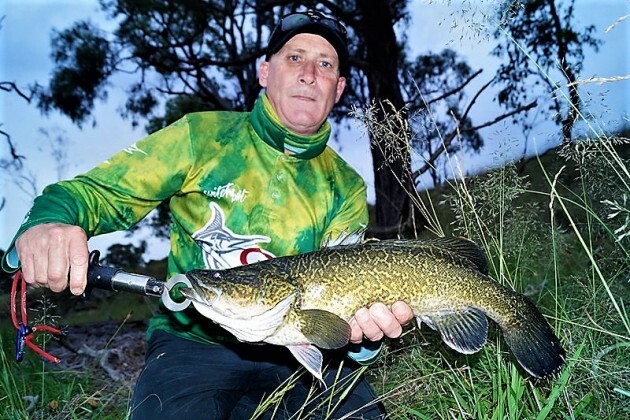 AUSSIE anglers spend hours on the water fishing so it’s no surprise that the slightest change to their local fishing spot doesn’t go unnoticed. I recently had the opportunity to go fishing with OzFish Tenterfield Chapter President, Harry Davey. Harry is like so many other passionate fishos who think it’s time to put something back into our sport. He does extraordinary work in rehabilitating fish habitat around Tenterfield and I wanted to see first-hand what that looks like – so we went fishing. The fishing turned out to be amazing, but what impressed me most was the type of habitat we found fish in. 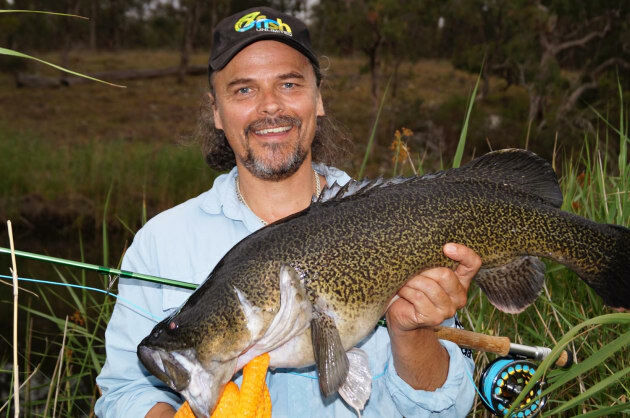 Murray cod and golden perch are great survivors. In times of drought, when creeks are reduced to a series of waterholes, they can adapt to conditions that most other fish can’t. Some of the waterholes Harry and I fished were no bigger than a backyard swimming pool. The water was warm and turbid, but from previous encounters Harry assured me they all held fish. Indeed, some of the pools held three or more cod up to the magic metre mark plus half a dozen or so perch! I wondered how so many large fish could survive in such a small body of water. There was certainly no baitfish present, so what were they feeding on? The answer was soon apparent, but something I think many fishos don’t realise. Typically, native fish adapt to these conditions with an opportunistic feeding behaviour. This was evident when, at each waterhole, our surface lures would be smashed almost immediately upon touchdown. The fierce competition in each pool meant the fish would have to compete with each other to make it to the food first. Anything such as a lizard or a bird that was unlucky enough to enter the water would be on the menu. Interestingly, however, the waterholes that fished the best were the ones with trees overhanging them. I later learned that some Australian native fish rely on river bank vegetation to provide up to 40% of their diet. These trees were obviously vital to the survival of the fish by attracting all kinds of life including insects, frogs, snakes, lizards and birds. The trees were also important in providing shade to the pools, thus preventing the sun from overheating the water. So it turns out that Harry’s mission to rehabilitate fish habitat by planting as many trees as he can, is a very wise one. Harry’s OzFish group is among one of the many chapters that are forming across the country. It’s great to see recreational fishers coming together to carry out such important work and it’s easy to get involved. OzFish Unlimited Project Officer, Simon Fitzpatrick.